Over $10,000 in FREE gifts and an AMAZON Best Selling Book at half price! Now that’s something we all can take advantage of. We have been corresponding with International Best Selling Author Patrick McNally PhD and his team and have secured a fantastic offer for you and we’re thrilled to let you know about it. On August 28th (TODAY!!) Therapist to the stars Patrick McNally PhD launches his latest book titled, “How To Live An Amazing Life.” To celebrate he is giving away over $10,000 worth of free gifts and for ONE DAY ONLY offering his book at half price to you. To take advantage of this special offer from the Therapist To The Stars Patrick McNally PhD. Go to www.howtoliveanamazinglife.com.au for more details. This time sensitive offer is for one day only so please make sure you visit www.howtoliveanamazinglife.com.au on the 28th August to collect all your free gifts. Patrick’s new book “How To Live An Amazing Life” includes never released before clinical techniques that produce amazing, fast results for his worldwide clients. 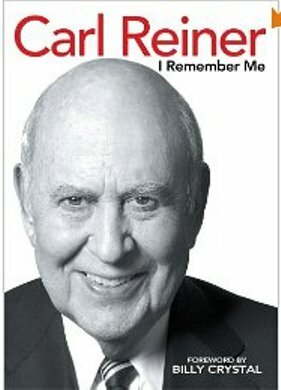 He has included case histories and techniques that will have an immediate impact on your life. For over 30 years he has helped the general public, corporations and super star clients in Sydney, London, New York and LA. All in under 60 seconds. In fact he recently demonstrated his amazing technique called, “The 60 Second Challenge” on Network Television and the telephones went into meltdown with viewers calling up saying how amazed they were that something so powerful could happen to them just while watching Television and following along with this technique. STOP DOUBTING YOURSELF and when you use these techniques THEY REALLY DO WORK. 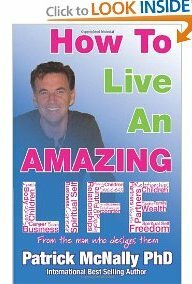 Go to www.howtoliveanamazinglife.com.au on August 28th 2012 and start living an incredible and amazing life. Remember it’s on for one day only, you get $10,000 worth of FREE GIFTS and Patrick’s book at half price. “The Great I Am!” Time for Bed. 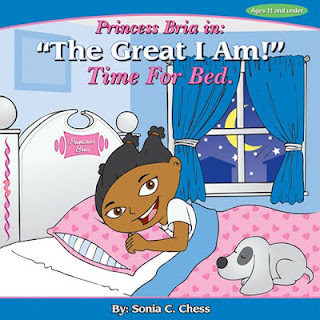 Princess Bria loves to play and bedtime is the last thing on her mind…. This book will help you understand why you might not be manifesting what you truly want. 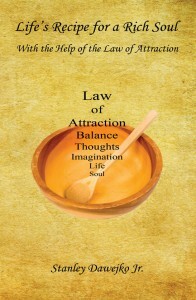 A powerful book that will help you understand the Law of Attraction in a whole new way. This step by steps book shows you how powerful your thoughts truly are and gives you the knowledge to understand why thoughts become things. 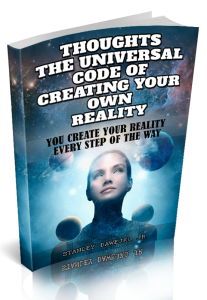 Stanley gives you all the secrets you need to help change your thoughts to help make your dreams become a reality. This book will completely change your life and redefine the way you think. SPECIAL OFFER – We will be releasing Life’s Recipe for a Rich Soul with the help of the Law of Attraction E-BOOK for FREE with the purchase of Thoughts the Universal Code of Creating Your Own Reality. 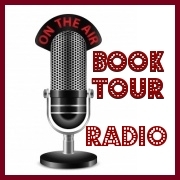 So you will be able to receive both books for the price of one. 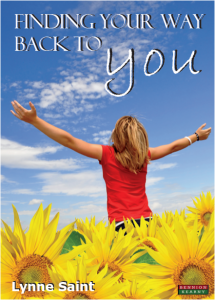 Finding Your Way Back to YOU – A self-help book for women who want to regain their Mojo and realise their dreams! regain their Mojo and realise their dreams! Finding your Way back to YOU is a focused and concise resource written specifically for women who have found themselves in any of the positions above. The good news is that you already have all of the resources you need to solve your own problems; this practical book helps you remove the barriers that prevent this from happening. Lynne Saint is an experienced life coach, NLP Practitioner and Hypnotherapist. Her blend of straight-talking, focused daily exercises, reflections, and ‘ME’ time, will help you to change your behaviour, and motivate and support yourself throughout your personal journey of self discovery. Find the YOU that you really know you can be. 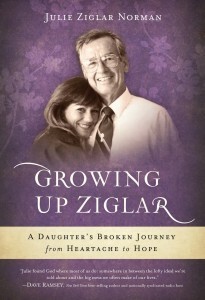 Hot New Book Launch Today With Great Bonus Gifts! 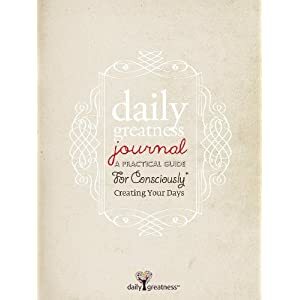 Become a master of your mindset with a unique new guide book, “dailygreatness journal: A Practical Guide For Consciously Creating Your Days.” It’s the personal development journal you always wanted! Order today for a chance to win 5 free copies for you and your friends. 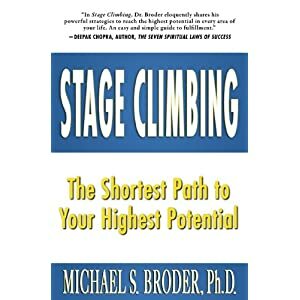 Stage Climbing: The Shortest Path to Your Highest Potential is a new book by renowned psychologist Dr. Michael Broder (you’ve seen him featured on Oprah, The Today Show, CNN, TIME, Newsweek, the New York Times, Wall Street Journal). In it he makes you a BIG promise: by understanding your present stage (in a given area of life) and how to climb to your target stage (with ample strategies and guidance), you’ll be able to reach your goals, manage your emotions, become free of your past, and finally have the life you were BORN to live. Stage Climbing is a simple yet extremely powerful process that you can learn in minutes, helping you reach your highest potential in any part of life you choose to work on. There are lots of practical examples as well as the tools you will need to take your life to the next level. 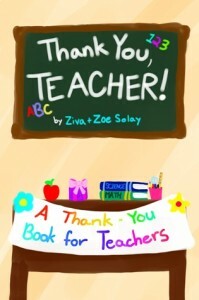 This is a book you’ll be talking about and sharing with friends and family for years to come!! Or Let Life Do It for You? Conscious living is something to which you can aspire, awaken, and put into practice–no matter whether you’ve chosen it or it has chosen you; it can become a powerful way of life! This anthology book celebrates the strength and beauty that all women possess. It provides a resource, a sounding board and a path for you to follow. And mostly, it speaks the truth about surviving and thriving through uncertainty, growth and sometimes seemingly impossible circumstances. Buy the book Women Living Consciously on May 1st, and receive more than 50 bonus gifts from like-minded joint venture partners.